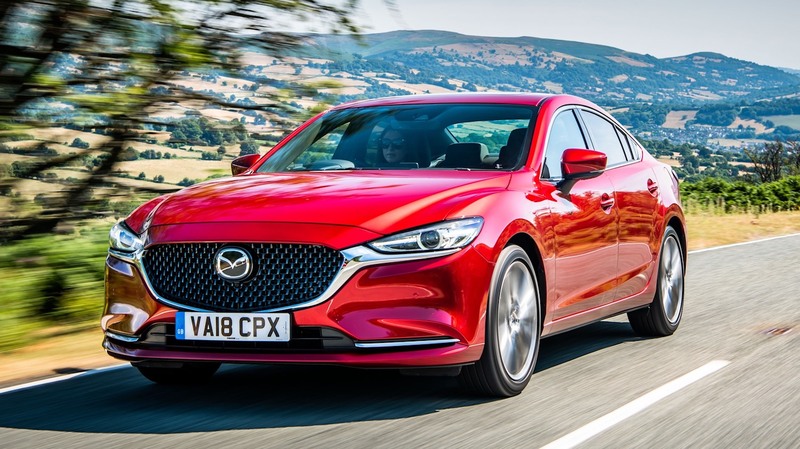 Well, pardon me but…If you lined up 1000 people and asked them to spot the differences between this new Model Year 18 Mazda6 and the one that was last revised in 2015, I doubt if five of them would be able to identify the fact that the latest car has been fitted with a new mesh grille in which the headlamp wingtips are integrated. 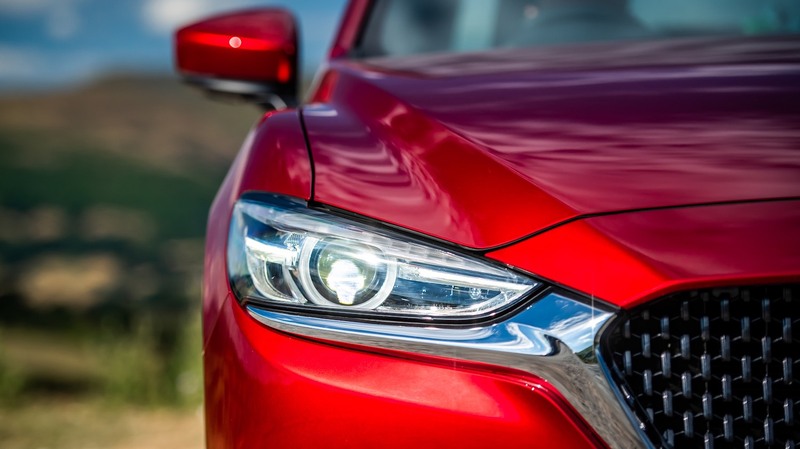 How many of them would also realise that the car we were going to drive away from the airport was in a shade of lustrous dark red – Soul Red Crystal Metallic. 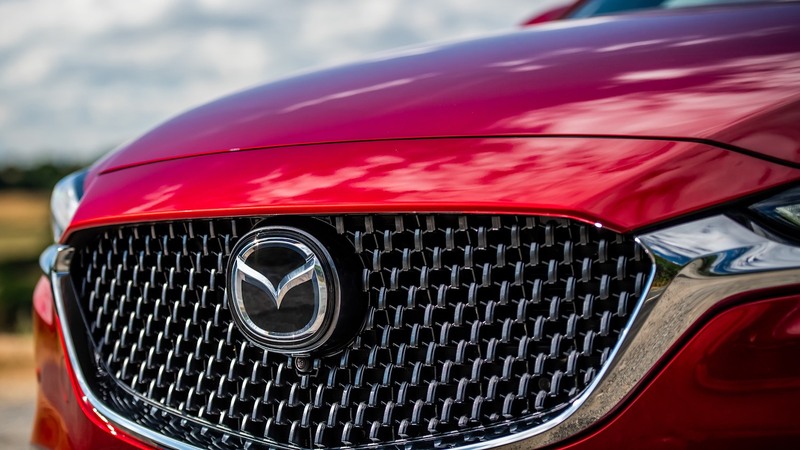 This colour is also entirely new to Mazda (to make sure everybody at the launch absorbed the point that this was a new paint job, all the cars at the event shared it)? And that’s it. So far as I know that’s the full sum of external changes that differentiate this car from its predecessor. Under the skin, a new 191 bhp turbocharged SKYACTIV 2.5 litre direct injection four-cylinder engine has been added to the range; and every car in the new range has been fitted with a device called G-Vectoring Control (or GVC) which automatically eases off the engine very slightly on turning in to a bend to make cornering more stable. It must be open to question whether one driver in a thousand would be sensitive enough to notice this device in operation. 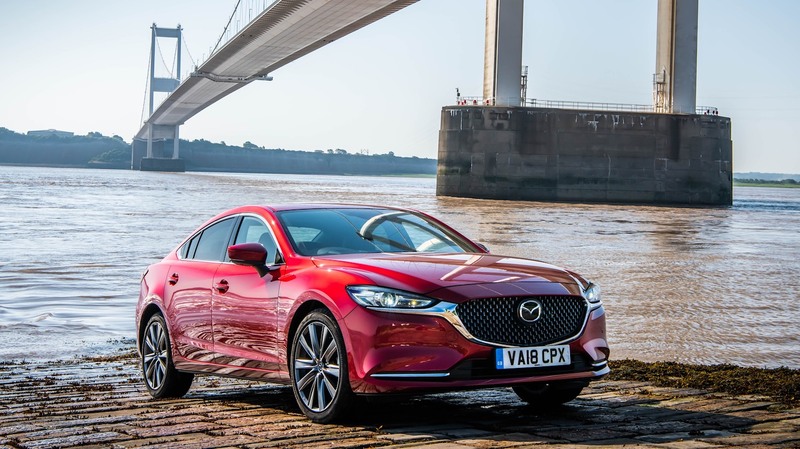 For top-spec versions, a new eight-inch infotainment screen with a seven-inch digital display marks this new car out from the one that went before. It also differs in having a heads-up display that is projected onto the windscreen in front of the driver – rather than appearing on a little tab of plastic that lifts out of the dashboard – and the dashboard itself has been elongated and trimmed to fit more neatly against the door panel. If there is anything more to add, I must have missed it. 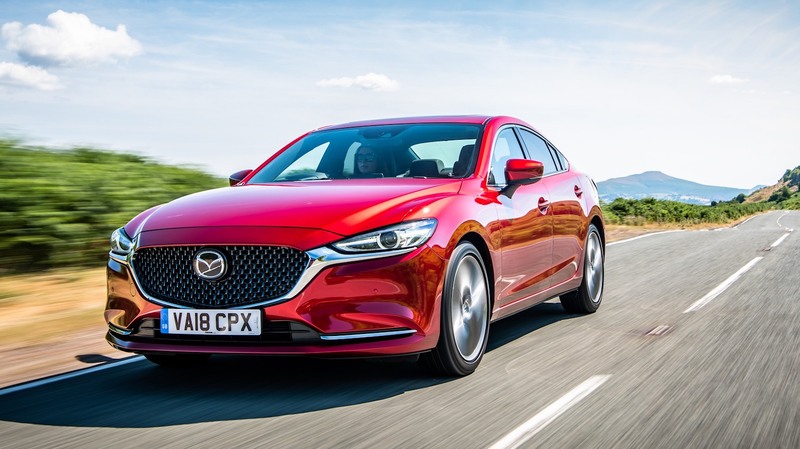 There’s nothing left to say about this new Mazda6, therefore, except to repeat everything that has always marked out this big saloon and estate as a thoroughly appealing alternative to Ford’s Mondeo and Skoda’s Superb. 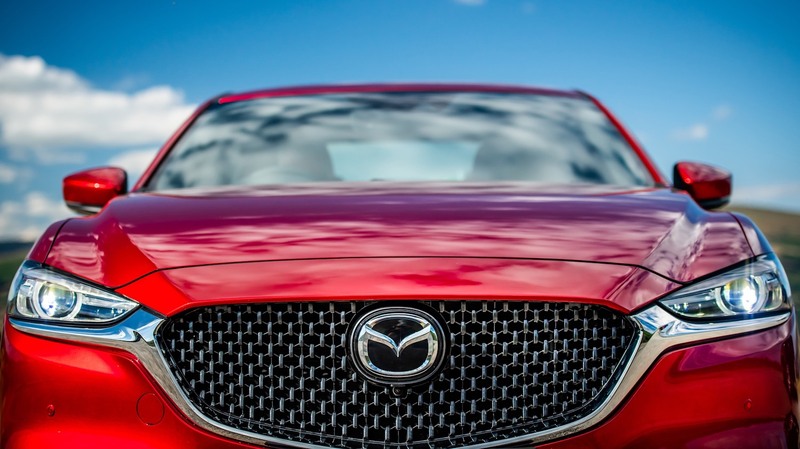 Like all Mazdas, a trace of the MX-5’s DNA runs through the Mazda6. 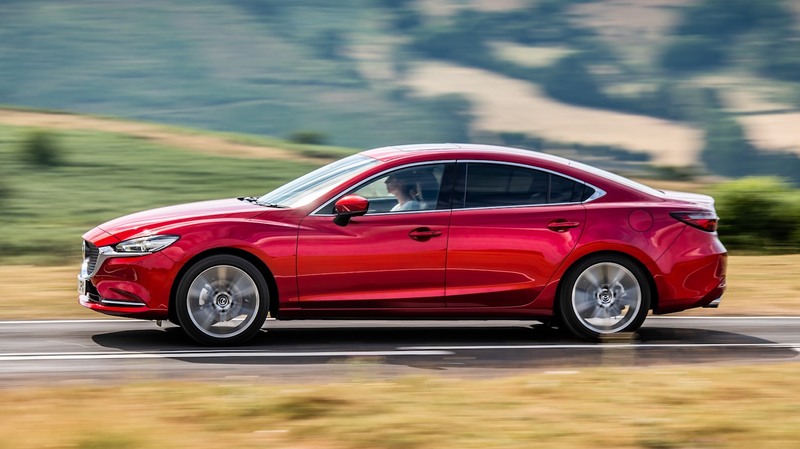 Alert and spry in handling, direct and reassuring to steer, with sharp brakes that feel fathomless in their pulling-up power, the Mazda6 knocks spots off the Mondeo and the Superb as a driver’s car. The interior design remains a vast expanse of black plastic and leather which is crying out for a refreshing dash of brio. Yet the front seats remain as comfortable and supportive as a Mercedes. 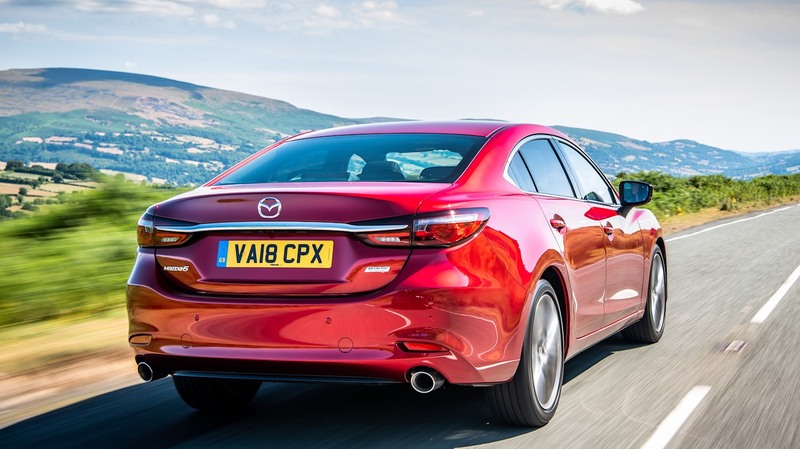 The boot is a good size but, in the case of the saloon, dwarfed by the immense maws of the hatchback Mondeo and Superb. 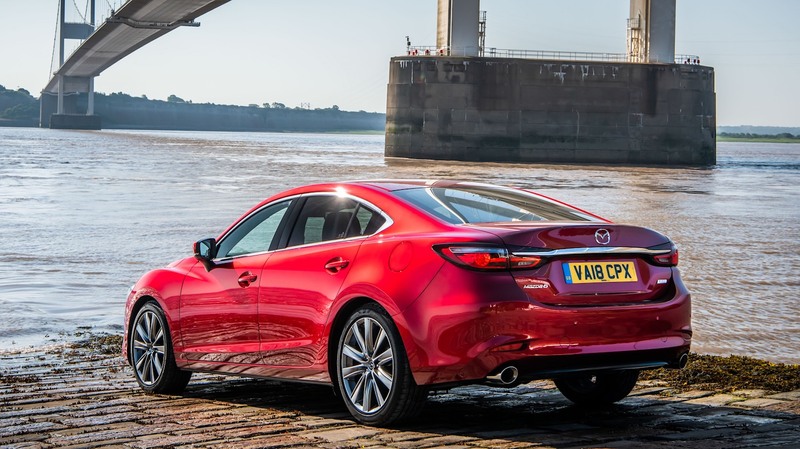 Priced sensibly between £23,195 – £32,685, the Mazda6 gives its rivals a real run for their money and would certainly be my own choice if I were looking for a big family saloon or estate. You never know, I might even choose it in that fetching new Soul Red Crystal Metallic.